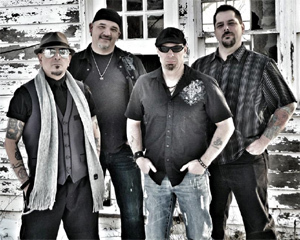 Using 90s-style grungy hard rock as their launching point, 7 SEASONS DEEP is the result of former LAST CRACK singer Shawn Anthony Brown and RAPSCALLION guitarist Jayme Poster joining forces with Madison music scene stalwarts, drummer Tim Schmitt and bassist Denny Carney. We took a few minutes to talk with singer Brown and guitarist Poster about their upcoming June performances as well as the new record which they’ve been recording with producer Paul Schluter (also former LAST CRACK rocker and current axeman in GOOD MORNING V) at Megatone Studios in Madison. 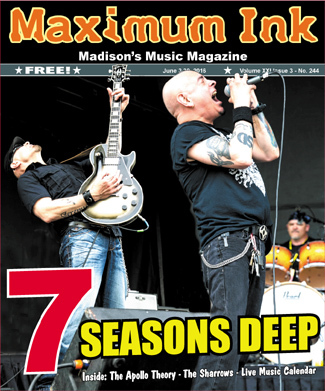 Southern Wisconsin audiences have a chance to see 7 SEASONS DEEP on June 11th at the Back Bar in Janesville, June 25th at the Bacon, Brew & BBQ Fest in Sun Prairie, and June 26th where they’ll be opening for hard rock legends, KING’S X, at the High Noon Saloon. Their website 7seasonsdeep.com also has a brand new store where fans can get shirts, bumper stickers, and other merchandise.